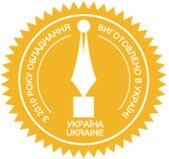 "Fora-Zapad” brand ("TechnotorgovayakompaniyaElektrokontakt” ltd.) iaaleaderonthemarketof equipment for producing bio-fuel in Ukraine. Our company produces equipment for pellet, bricks production for small Russian enterprises as well as for big manufacturers of fuel bricks on Russian market. Pellets and fuel bricks are environmentally friendly fuel, in the process of burning they emit much fewer harmful substances than when using residue or diesel fuel. 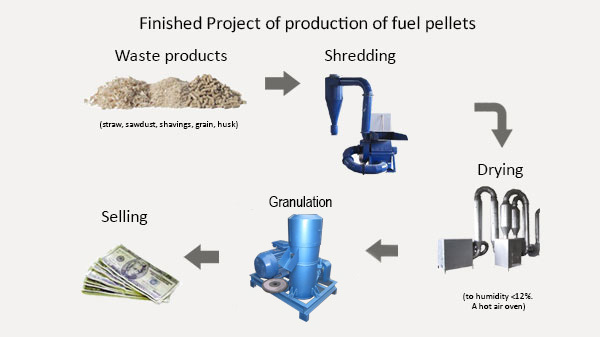 Bio fuel us the product of pressing different agro-industrial and woodworking waste. Bulrush, draff, grains, saw dust, straw, buckwheat, sunflower husk and other organic waste serve as raw material for bio fuel production. Pressed bricks of bio fuel excellently replace coal, gas or wood, they are more effective, they have high thermal output index and the process of pressing allows to reduce the fuel size which significantly reduces transporting and storing costs. Bio fuel has a significantly wide range of uses, it is effectively used in private houses heating, for ovens and fireplaces, prediction premises, warehouses, sports facilities, saunas, greenhouses, orangeries, boiler rooms and other places where the heating equipment that works on bio fuel can be installed. As we know, natural resources which our planet has so generously provided to the mankind, are quite limited this is why alternative power industry and use of renewable energy sources are becoming vital. "For a-Zapad” brand offers to its customers not only a complete project of pellet and fuel brick production, but also a full set of specialized high-quality equipment for producing this kind of fuel. Our company will help you to choose the best, ideally fitting for your conditions set of equipment, will swiftly provide assembling and launch of turnkey production line. All equipment which is produced by "Fora-Zapad” brand is also in stock of Russian representative - "Technotorgovaya kompaniya Elektrokontakt” ltd.if some kind of equipment is out of stock in Russia, we guarantee its delivery within two weeks. All the equipment can be seen now in the warehouse in Smolensk! "Fora-Zapad” produces the equipment on its own plant, which is situated in the city of Lvov, Ukraine. Besides we are ready to meet various requirements of our customers and produce non-standard equipment which will satisfy all your needs.